Home » Politics » Shiv Sena ropes in Hardik Patel to undercut former ally BJP. Will it work? 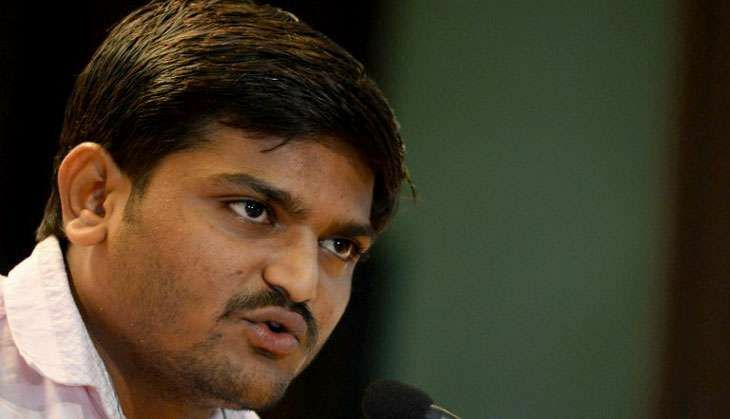 Shiv Sena ropes in Hardik Patel to undercut former ally BJP. Will it work? Shiv Sena chief Uddhav Thackeray's meeting with Hardik Patel, the leader of the Patidar reservation agitation in Gujarat, has set Mumabi's political circles abuzz, not least because it happened in the midst of campaigning for election to the Municipal Corporation of Greater Mumbai. It was Uddhav's first meeting after parting ways with the BJP on 24 January. The meeting took place at Matoshri, Uddhav's residence in Bandra. Hardik is in Mumbai for an annual gathering of the Patidar community. "We went to Matoshri to pay tributes to the late Balasaheb Thackeray. We discussed the political situation in Mumbai and Gujarat. Uddhav Thackeray invited us to his public meeting at Goregaon later in the day," said Brijesh Patel, a close aide of Hardik. Speaking to the media after the meeting, Uddhav said, "Hardik Patel will be Shiv Sena's face for the Gujarat assembly election." Uddhav's son Aditya Thackeray, who leads the Sena's youth front, tweeted, "Uddhavji and I welcomed Hardik Patel at Matoshri. He came to pay tribute to Shiv Sena Pramukh Shri Balasaheb Thackeray. Hardikbhai and Uddhavji discussed their respective views on fighting against social injustice and the way forward." On his part, Hardik lent support to the Sena for the MGCM election. He tweeted, "It was nice to visit Matoshri and pay tribute to late Balasaheb Thackeray. The tiger still roars at Matoshri." Not surprisingly, the alliance hasn't impressed the Sena's rivals. "This is nothing but political gimmickry by the Shiv Sena," said BJP spokesman Madhav Bhandari. "They have been abusing the BJP and Prime Minister Narendra Modi in filthy language. They have only brought one more abusive face into their fold. This will not affect the outcome of the MCGM election at all." Another senior BJP leader who asked not to be identified said, "This only shows that the Shiv Sena can not win any election on its own, not even in Mumbai. It has been in power in the MCGM, but because of our support. There is not a single instance of the Shiv Sena winning a civic body election, let alone a state election, single-handedly. Let them bring anyone. It will not stop us from getting a majority." "We established a strong hold over Mumbai during the 2014 state election, and the MCGM election will further consolidate our position. Going by the current trend, we are confident of gaining clear majority." The leader added that by allying with Hardik, Uddhav has made it clear that he is more worried about Gujarati than Marathi votes. "Had it not been the case, he wouldn't have rejected a proposal for alliance from his cousin Raj." Also Read: Shiv Sena collected more money than 15 other parties last year. Who from? The BJP leaders might be off the mark in assessing Hardik's impact. As the veteran journalist and political analyst Ganesh Torsekar pointed out, "Hardik Patel may not turn the election in Shiv Sena's favour. He will certainly have a marginal impact on voting choices, however, and that could well be decisive. Time and again it has been seen that even 150-200 votes change the result in civic polls." Torsekar added, "Hardik Patel may not campaign for the Shiv Sena, but his visit to Matoshri has sent a clear message to the Gujarati community, about whom it should vote for. The community has already moved away from the BJP due to the arrogance of leaders such as Amit Shah and Ashish Shelar." As for Uddhav rejecting the Maharashtra Navnirman Sena chief's alliance proposal, Torsekar called it a "wise move". "Raj Thackeray is finished. He has lost the opportunity to make an impact on the politics of Maharashtra, and Mumbai," he reasoned. No wonder, the Sena is upbeat. "It was a ploy by the BJP and the MNS," said the party's spokesperson Manisha Kayande, referring to the alliance proposal. "Its sole objective was to dent the Shiv Sena's voter base and sabotage the grand victory. That is why the proposal was declined. We are confident of winning more than 100 seats on our own." Hardik may have given a fillip to the Shiv Sena's pitch, but winning this election remains a big challenge. Not least because the BJP still retains a strong base in suburbs such as Andheri, Jogeshwari, Kandivali, Ghatkopar, Malad, Borivali, Mulund, which have sizeable Gujarati populations. The Shiv Sena, on the other hand, dominates Vikhroli, Bhandup, Chembur, Kurla, and other areas where Marathi voters are in majority.